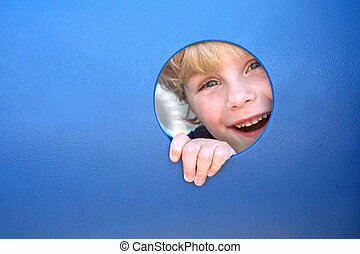 Curious child is spying through a hole. 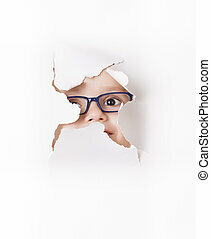 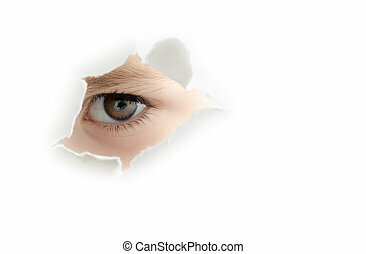 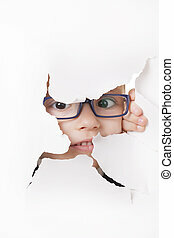 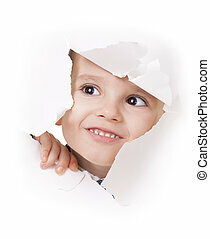 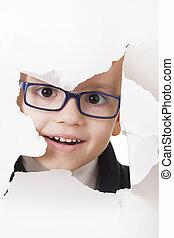 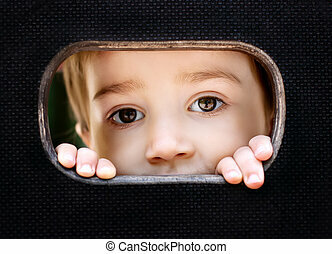 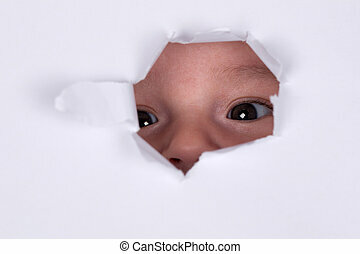 A curious child is spying through a hole in white wall. 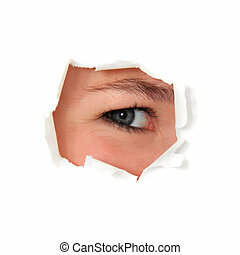 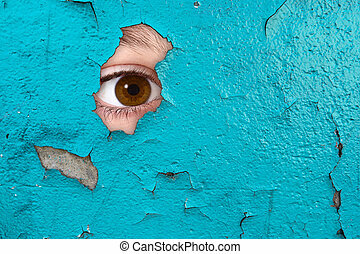 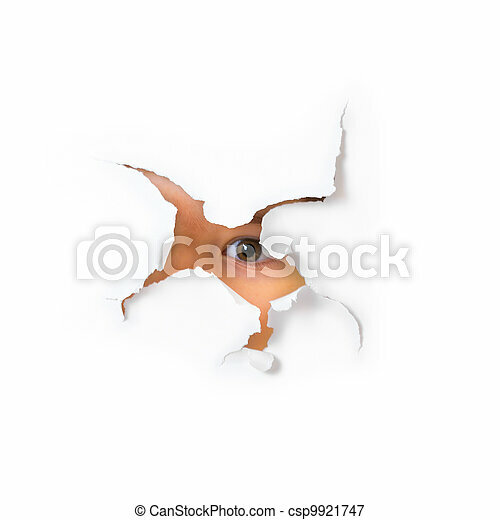 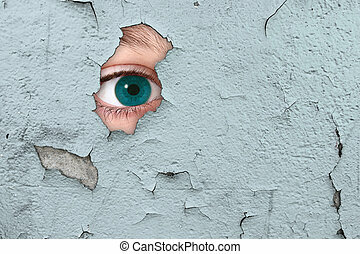 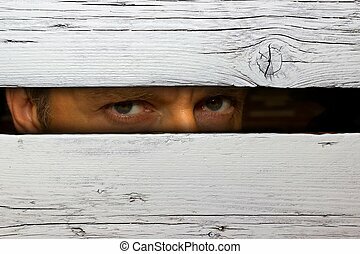 Female person looking through torn hole in white wall. 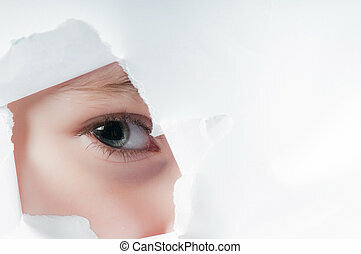 All on white background.